Mr. Tatsuya Tsuji acts as the vice principal at a public primary school in a rural area in the northern part of Mie Prefecture. I first met Mr. Tsuji 15 years ago, when I just started my career as a new teacher. Mr. Tsuji had been teaching mainly at public schools in rough areas throughout his career. He had been working hard with his colleagues to change those schools for the better while believing in the power existing in schools. What impressed me were the students in Mr. Tsuji’s classroom. The following is a scene from science class for the 6th graders in his class in June 1999. The video is less than 2 minutes while the whole class is 45 minutes. During the 45 minutes, Mr. Tsuji speaks out only three times – at the beginning, in the middle for course correction, and at the end. For the rest, the children alone conduct the class, teaching and learning from one another. Please watch the video bellow. I found the children in his class were cheerful and energetic, feeling safe and secured. When I was there to shoot the video, it felt comfortable as if I were soaking in a warm bath. Every child was very positive as if they were saying, “Let’s find the truth. We are not afraid of making mistakes or failures. Let’s grow together. Let’s give ours all.” In such an environment, they challenge to improve each other, which brings out their best. When the children move on to junior high school, they start building networks to collaborate. Because they have already gained problem-solving skills in primary school, they know how to involve other students to form good teams. 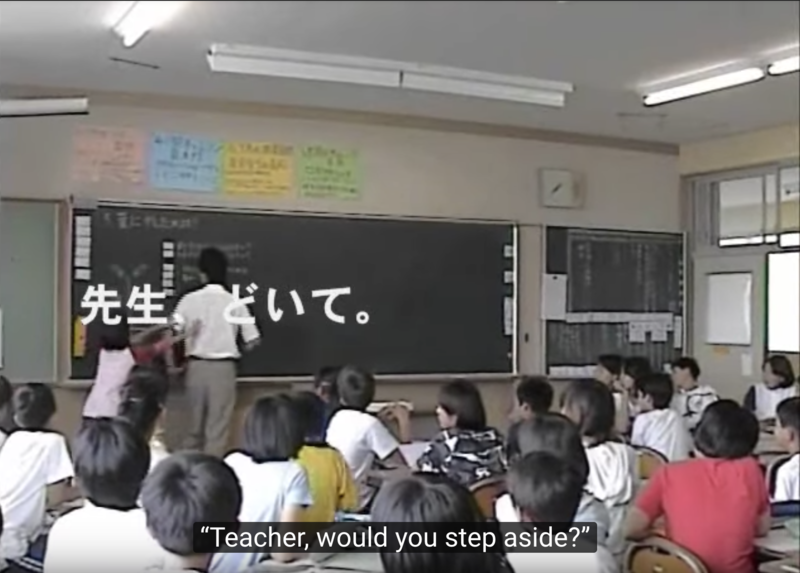 In Mr. Tsuji’s lesson plans, he writes down all the possible answers from children, and it goes exactly how he has expected. He also forecasts where and how children will go wrong. Furthermore, he prepares several questions for each mistake so that children can come back to the right course. Usually his first question is enough to redirect children. I was surprised at his ability to predict students’ remarks. So how did Mr. Tsuji gain such management skills? Mr. Tsuji uses various coaching skills, though he may not have intended. I believe the interview article with Mr. Tsuji will make clear how coaching skills can be applied for schoolteachers. There are many practical tips for school. I hope you will enjoy reading the article. Teacher, we are not your robots! After a while, I moved to another school. The junior high school was full of students with problematic behaviors. Some came school by motorcycle and were driving around in the gym. I used to smash students. You may say I was an autocratic teacher. One day, something unusual happened. It is always hard to teach the first graders at the beginning of the school year, but I had a tactic. That is how it works. At first I start teaching in a relaxed mood, sometimes making jokes. As they warm up, I yell at some student angrily. I declare to the whole class, “I cannot teach you any longer”, and I come back to the teachers’ room. Then students get upset and start discussing how they should do with it. Finally, they come to the teachers’ room to apologize for their attitudes. I forgive them, of course. The point is it will discipline them to be tense in class. That was the scenario. It always worked. However it was different that time. Soon after I left the classroom, some students came to the teachers’ room. I expected them to come, but was surprised to hear what they told me. I was offended, and flustered at the same time, for I didn’t expect it at all. “What you want in classroom is different from what we want. We want to learn in the way we wish”, said them. “We don’t know. But one thing clear is we don’t fit in your teaching style”, answered them. I was so shocked. I suppose it was my turning point. In the following year, I became an advisor for the gymnastic club in the school. It was rather a circle than a club. It was for students with physical interest. One day they told me they wanted to hold a sport event. I left all to them. I did so. It was partly because the timing was right for me, and was partly because I was just compatible with them. It was my first time to leave all to students. I would pretend I let students decide everything, yet in fact, I interfered a lot. But it was different now. I was able to leave all to them. As they discussed how they want to carry out the event, I just watched them smiling. I gave them some suggestions only when they are lost. As a result, it went successfully. I was in charge of the club only for half a year. At the end of the period, my students came to me and told they had fun and wanted to join any club I would be in charge of. Those words made me happier than anything else. It was when I first understood what it means to leave all to students. I thought I had respected students’ autonomy, but I noticed I didn’t. I just forced them to follow my rules. I always told students to walk to me, but this time I first walked to the students and talked sitting beside them. I used to sit face to face with students, but this time I first sat beside them and saw the same view as theirs. A new moral education named “moral education with more than one answer” began while I was at the same school. The principal proposed we should start the class. I opposed his idea because I didn’t understand it. I thought there should be certain answers even in moral education. “No, no. This class gives students chances to think and speak freely. Gradually, they will be able to do the same in other classes, too. This is not only for moral education but it will change the whole classes. I was finally convinced to start the class. In a few years, it changed other classes, too. Then students are led to think on their own. But it is not a perfect question. It is because the question itself is my idea, not theirs. Students start to come up with various ideas. Some student will notice and say, “Teacher, most people live in the north.” It inspires other students. Then I ask “Everyone, what do you think about what he says?” It will inspire them further. It could go much deeper. “Well? People live only in the northern part. Why is that?”, one student mumbles. “Oh, that’s strange. Let’s check”, other students respond. Now the teacher’s job is just to write down whatever students say on the blackboard. This is how students make up the whole class for themselves. It encourages students to understand deeply and widely. I also had to teach science class, which I was not an expert at. I used the same scheme in science. I arranged the timetable to put two science classes together. I spent the first half to have students expect the results of experiments they were going to do and the second half to make an experiment. If they discuss about the experiment in the first half, the latter half becomes more exciting. They reflect what they said while conducting an experiment. In May or June, students start asking questions. In the second semester, they are used to asking questions. If they learn in this way for one year, they can carry out a whole class for themselves in the second grade. In the third grade, they ask questions one after another without even raising their hand. When I moved to another primary school, I used the scheme in every subject. This is how my teaching style was created. Now Mr. Tsuji is going to talk about what he had been doing in class in detail. Students usually hesitate to say their opinions in the second and third year at junior high school. My students, however, express themselves more openly as they go to the next grade. I was often asked by teachers in other schools how it could be. “Students are usually more active and speak out in class when they are in lower grade, but how come students here become more active as they grow?” asked teachers. “It is because they come to feel safer and more relaxed.” I answered. In a sense, they won’t get any ideas by watching my class just once. If they are going to have students speak out in class, they need to arrange things in daily school life, from morning to evening. If you are scolding students, for example, for skipping cleaning, you will never be able to make such a lesson. Every time students face problems, you give them an opportunity to think on their own and assist them. You should keep doing it for the whole school year, on a schoolwide level. Once a trouble happens, you teach students thoroughly how to solve it. In time, they will come to understand and start working toward a solution on their own. Some say it is just a student’s personality whether he/she will tackle a problem or not, but I disagree with them. Students cannot tackle a problem because they are not taught how. Once they learn, they will apply it and think out their own problem solving methods. What is important is to put students in a situation where they are encouraged to think themselves. It is a poor way of teaching if you just tell students “Do it.” It’s much more effective to lead them to think on their own. It has to be done on a schoolwide level, too. I believe there should be some rules in learning. There are always some students who reject the rules. It surely happens whichever rules you adopt. It is only in a fictional story that every student would be completely satisfied. I don’t think it matters because it takes time to find out what students have learned in class. As for the girl I mentioned above, she began to take leadership in class when she entered junior high school. Students will understand what they have gained when they move to another stage. This is what teaching is all about. A genuine, good teacher makes his/her students prepared for the next stage. It is not until they leave him/her that his /her capability will prove. Please take a short break to look back on yourself. Then, click here for the last half. After graduating from School of Teacher Education, Kanazawa University, he taught both in primary schools and junior high schools in Mie Prefecture. Then he transferred to the Board of Education of Mie Prefecture. After 14 years of his career as teacher, he became the first professional coach with teaching experiences in public schools in Japan. He started using coaching skills in 1997, right after coaching was first introduced into Japan. By using coaching skills, he has consulted more than 500 children and parents and helped them develop their gift. He miraculously changes every person’s weaknesses to strengths. 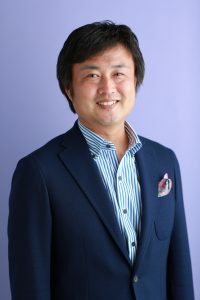 He is one of the best professional coaches in the field of education in Japan. Currently, he is actively working for the board of education, governmental agency and schools as advisor on coaching. He carries out more than 100 lectures and projects a year and he has taught coaching to more than 10,000 educators and students. He acted as a succor coach for representative players under 14 years old in Mie prefecture. 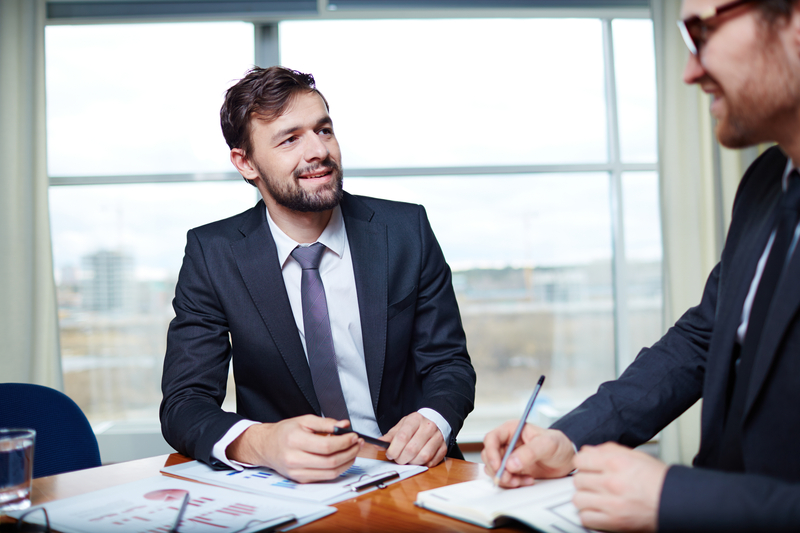 He holds the Professional Certified Coach (PCC).